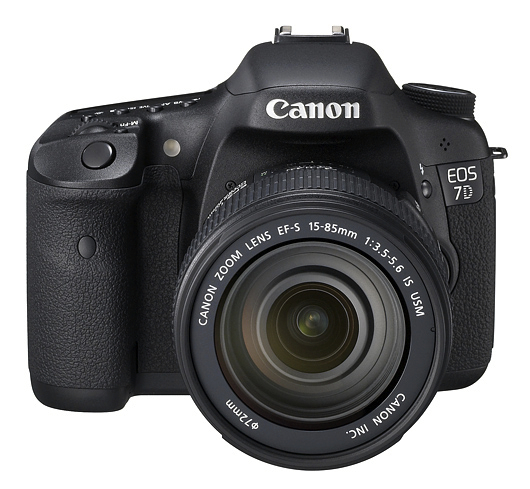 The Canon 7D features a Canon-designed 18.0 Megapixel APS-C size CMOS sensor that captures such a high level of resolution it’s easy to crop images for enlargement without concern of losing detail. A major factor in reducing noise, the CMOS sensor assures that images shot at highest sensitivity will be remarkably smooth. Dual DIGIC 4 Image Processors ensure that images are captured, processed and saved with remarkable speed. The Canon 7D’s ability to capture and process data of images shot at 18.0 Megapixels at 8 fps, as well as Face Detection Live Mode, Full HD video recording, Auto Lighting Optimizer and Lens Peripheral optimization are all possible thanks to the Dual DIGIC 4 Image Processors. Intelligent Viewfinder with 100% field of view, wide viewing angle of 29.4°, high magnification of 1.0, intelligent viewfinder with glass pentaprism and an overlaid LCD display in viewfinder supports various shooting styles. New 19-point, all cross-type AF system equipped with dual diagonal cross-type sensors in center at f/2.8 and f/5.6 and AF area selection modes to match various shooting situations.